Angel's Creative World: CAS-ual Fridays Challenge Time! Hi all! It's time for a new challenge over on the CAS-ual Fridays Inspiration Challenge! I've always loved color challenges and that's what we have for you this week! I kept it super Clean And Simple for my card. I used the Modern Petals background stamp set with a sentiment from the Mon Ami stamp set. 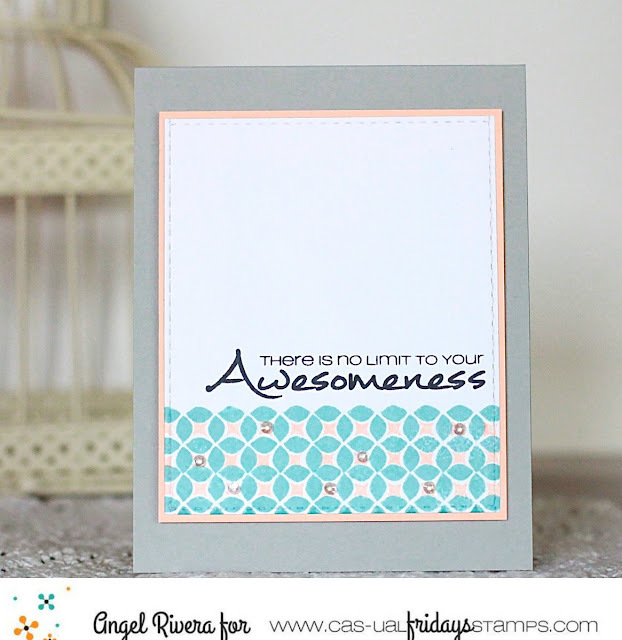 Love the geometric border at the bottom of this beautiful CAS card Angel!